The benefits of strength and conditioning training have been backed up by countless studies. There is no “foundation of youth,” but strength and conditioning training has been shown as one of the best ways to dramatically increase overall health. Through strength training, it is possible to stave off some of the worst effects of aging. This approach has been shown to even increase bone density, boost the immune system and, to the surprise of many, boost overall mood and mental function as well. Strength and conditioning training does more than simply build muscle. An effective strength and conditioning program is also good for the brain. 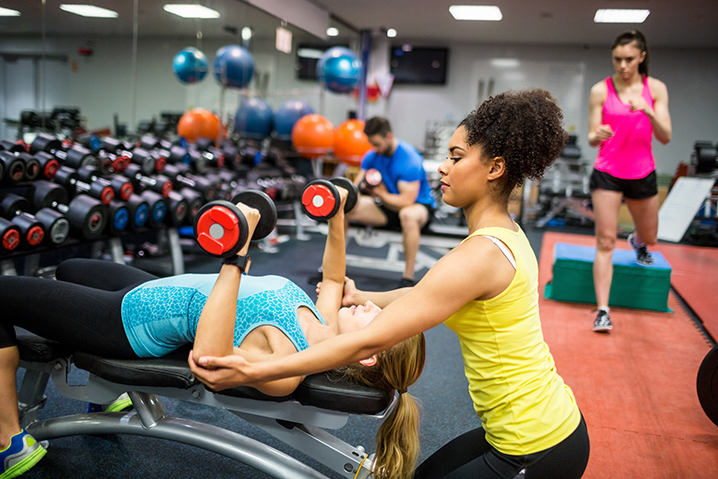 Personal trainers looking for a great way to help their clients while simultaneously building client loyalty will appreciate the value of a Strength and Conditioning Certification. This program allows personal trainers to market their services to a variety of different types of clients and do so in a variety of different ways. For example, older and elderly clients can benefit greatly from strength and conditioning training. With this certification, you’ll be able to lead the way by providing great exercise programs, safe coaching and more. You’ll learn the best ways to safely train every major muscle group in the body. We know your clients expect great results, and with this course you’ll know how to best deliver those results! Our certified fitness professional written courses provide you with the information you need to achieve optimal results for your clients. The Personal Training Certification Institute is here to support your ongoing success. We provide you with 100% online training, free and completely unlimited exam retakes, instant grading and 24/7 instant certification. Our goal is to help you achieve your certification in a streamlined and effective fashion. That way you can immediately bring your expanded knowledge base to your clients and coach them to achieve results.